Over 140 academic faculty from across the U.S. gathered to discuss the challenges of engaging the next generation in promoting and advancing palliative care practice this past Friday and Saturday, Sept. 30 and Oct. 1, as the CSU Institute for Palliative Care convened its first national symposium, Engaging the Next Generation. 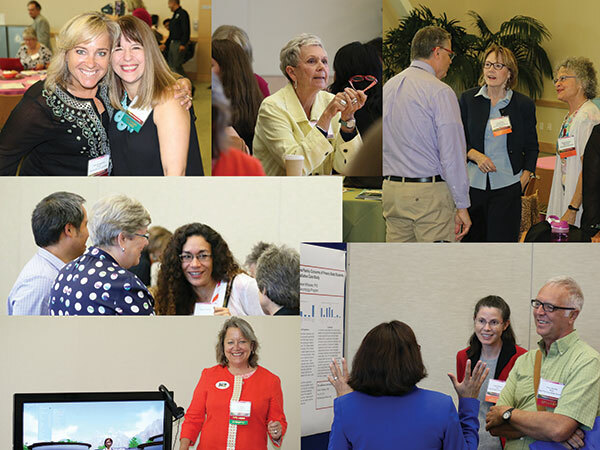 Coming from across the country … from Massachusetts to California, higher education faculty, researchers, and clinicians were treated to riveting stories and amusing anecdotes from nationally renowned experts, and to inspiring opportunities for collaboration with their colleagues. Amy Berman is an inspiration. Amy Berman of the John A. Hartford Foundation told her personal story of navigating as a patient with aggressive breast cancer, and her choice for care that was outside of the norm for many of her providers. From tears and shock to strength and bucket-list joy, Berman shared her experience of living fully each day, and clearly conveyed a sense of gratitude and positivity for being a soon-to-be 6 year survivor of an illness where only 11% live for 5 years. 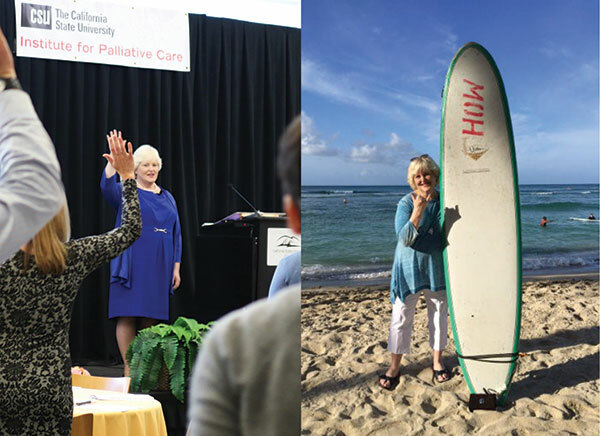 Tracing her disease trajectory, the challenges she faced with her providers and caretakers, and the choices she selected, her story was testimony for the power of palliative care to provide an excellent quality of life and support for an individual to live well and fully. 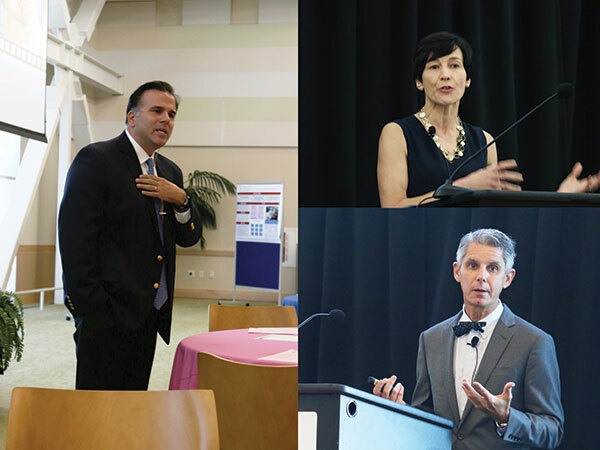 Dr.’s Angelo Volandes, Christine Ritche and David Casarett (left, right, bottom) speak at symposium. From our keynote speakers’ stories, such as Dr. David Casarett’s humorous account of his online date’s reaction to his research work, to Dr. Christine Ritchie’s touching story of applying her evidence-based research to the suffering of her own parents, to Dr. Angelo Volandes’ process of finding the use of videos to help providers have advance care planning discussions with patients, the Symposium was filled with poignancy as well as data on palliative care’s progress in practice, and intriguing ideas for attendees to adopt in their teaching or explore in their research. Hugs, laughter, and exchange of thoughts and ideas abounded throughout the ballrooms, breakout rooms and social gatherings. Monica Broome speaking at Symposium. Collaboration in groups to learn and practice advance care planning conversations was the topic of the concluding afternoon, accomplishing a remarkable feat of retaining almost the entire group of attendees throughout the entire last day. 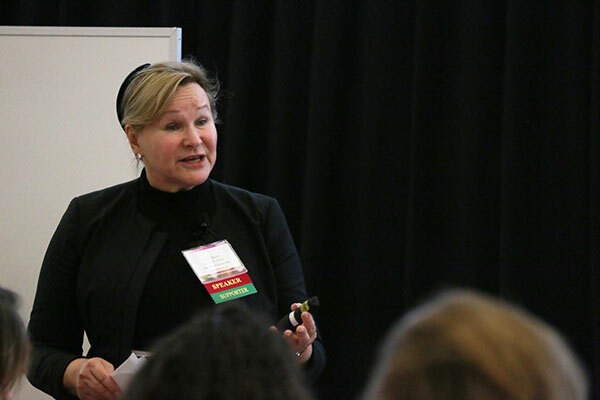 A master trainer of healthcare communications, Monica Broome, MD, conducted a highly interactive session so attendees could learn and replicate effective exercises for classroom use to conquer barriers preventing advance care planning conversations. Her session included ways to recognize when statements people make may be signaling openness to having these challenging conversations, and she valuably provided a variety of techniques and phrases to respond to emotions, facilitated participants in practicing communication techniques, to ultimately promote the learner’s confidence in successfully conducting advance care planning conversations with others. Hard work and innovative future plans paid off for five attendees, who were awarded seed grants of $2,000 each. 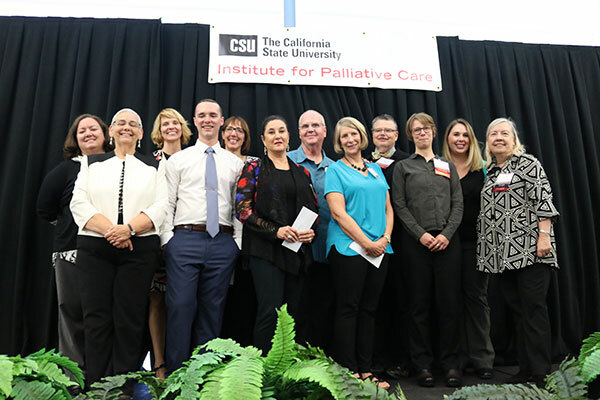 Through the generous support of the Gary and Mary West Foundation, five faculty received seed grant funding to focus on projects to grow and improve palliative care education and research. The complete story of the recipients and their proposals can be seen in full in our upcoming blog post!